At Batia & Aleeza, hair coloring is an art form. Superior, natural looking color can only be achieved with the precise combination of unique coloring products applied by a trained specialist. Batia & Aleeza use only the finest coloring agents to create distinctive designs and remarkable color. Understanding the theory of hair color is essential to achieving the shade and color you want. Backed by years of success, we possess the experience base and knowledge to create the exact color you are looking for. And as colorists, we have mastered the ability to deliver high quality hair color results. Whether you are looking for a completely new look, a touch-up to grown out color, or are in need of serious correction, your hair color specialist can be found at the Batia & Aleeza Salon. Highlights & Lowlights Highlights are a fresh way to achieve dynamic hair definition. Batia & Aleeza use only the most natural ingredients to create exceptional hair definition. Whether you are looking for dramatic or subtle, highlights are a great way to boost your hair’s natural radiance and to create added dimension. Highlights can also be a good method to enhance your hair for a variety of other reasons. When letting your hair grow out, highlights are a great way to achieve a little bit of a change without chopping those beautiful tresses. If you are looking to add a youthful edge to your hair, highlights lead the way. Vivid, high color contrast is achieved by Batia & Aleeza’s trained colorists time and time again. Or if you are looking for soft and subtle, we have the formula for you. Come in today for your own personal hair consultation to receive your own unique highlight combination. Henna Treatments Henna has been used historically to provide natural rich, deep color to hair. In addition, henna is well known for its intense conditioning properties. Today, henna treatments are still used to provide rich, full color and silky, smooth hair. Batia & Aleeza provide this service using both neutral henna and henna for coloring hair in a natural, non-synthetic way. The benefit of neutral henna is that it leaves hair softer and more manageable with all natural ingredients without any added color. Henna, when used for coloring, also provides varying levels of reddish tints to full red coloring with the added benefit of its conditioning derivatives. 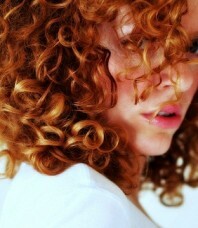 A fine balance exists between beautiful henna treated hair and improperly or excessively applied henna treatments. Only a trained henna expert can provide the precise henna blend and translate it into the proper henna application. Batia & Aleeza’s years of experience and devotion to beautiful hair ensures each of our clients the most desirable results when employing henna treatments. If an all new hair style is what you are looking for, Batia & Aleeza use their unmatched talent to produce remarkable results. You can come into our beauty salon with something in mind or just an idea of needing a change and your personal consultation will allow us to arrive to the perfect solution for you. Don’t hesitate to come in today to find out for yourself the styling genius that exists at Batia & Aleeza. Our staff is completely dedicated to provide you with the best service and consultation possible. We treat every client personally and dedicate 100 percent of our attention to each individual whom enters our beauty salon. Batia & Aleeza offer superior styling techniques to make ordinary hair become extraordinary. Whether you just want simple styling with a cleansing shampoo and deep conditioning hair treatment or an entirely new style, Batia & Aleeza can provide it for you. Batia & Aleeza have developed their own Complete Hair Solution containing: Bio-Natural Shampoo, Bio-Protein Conditioner, and Bio-Herbal Mineral Sculpting Gel. Seems simple? Well it is! All it takes is these three exceptional products to produce unbelievable results. By using these products you can create beautiful hair everyday. Take a look at a video showing just how easy it is to use Batia & Aleeza Complete Hair Solution. When men tend to think about fashion and style, they usually think of clothes and shoes. However, hair is playing a much larger role in fashion as hair styles are continuing to gain more notice and depth. We find new trends in men’s hair fascinating and we love giving men that added flicker which hair styles tend to grant. We want to stress the relevance of men entertaining the idea of going to a beauty salon to receive a hair style. Beauty Salons provide a much needed ambiance in men’s grooming that has been missing for quite a time. So please, come into Batia & Aleeza Beauty Salon and begin to understand the joy of receiving a top quality hair style that only Batia & Aleeza can help you experience.